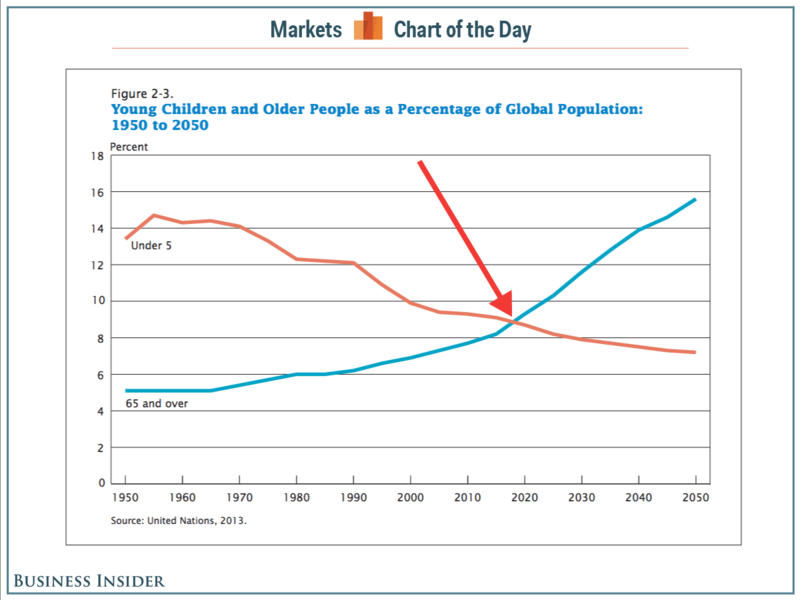 The world is in the middle of a dramatic demographic transition caused by increasing lifespans and falling birthrates. One consequence of this change is that traditional tax-and-transfer, pay-as-you-go retirement schemes (such as Social Security in the United States) are basically bankrupt. The problem is so acute that even the normally statist bureaucrats at the Organization for Economic Cooperation and Development are expressing considerable sympathy for reforms that would allow much greater reliance on private savings (shifting to what is known as “funded” systems). Countries should introduce funded arrangements gradually… Policymakers should carefully assess the transition as it may put an additional, short-term, strain on public finances… Tax rules should be straightforward, stable and consistent across all retirement savings plans. …Countries with an “EET” tax regime should maintain the deferred taxation structure… Funded, private pensions may be expected to support broader economic growth and accelerate the development of local capital markets by creating a pool of pension savings that must be invested. 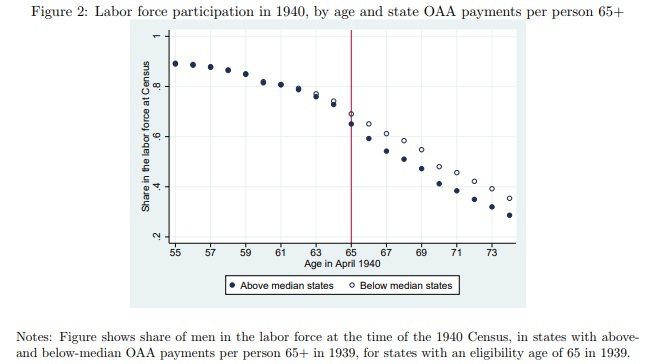 The role of funded, private pensions in economic development is likely to become more important still as countries place a higher priority on the objective of labour force participation. Funded pensions increase the incentive to work and save and by encouraging older workers to stay in the labour market they can help to address concerns about the sustainability and adequacy of public PAYG pensions in the face of demographic changes. Here’s a chart from the OECD report. It shows that many developed nations already have fully or partly privatized systems. By the way, I corrected a glaring mistake. The OECD chart shows Australia as blue. I changed it to white since they have a fully private Social Security system Down Under. The report highlights some of the secondary economic benefits of private systems. Funded pensions offer a number of advantages compared to PAYG pensions. They provide stronger incentives to participate in the labor market and to save for retirement. They create a pool of savings that can be put to productive use in the broader economy. Increasing national savings or reallocating savings to longer-term investment supports the development of financial markets. …More domestic savings reduces dependency on foreign savings to finance necessary investment. Higher investment may lead to higher productive capacity, increasing GDP, wages and employment, higher tax revenues and lower deficits. Here’s the chart showing that countries with private retirement systems are among the world leaders in pension assets. The report highlights some of the specific nations and how they benefited. Over the long term, transition costs may be at least partially offset by additional positive economic effects associated with introducing private pensions rather than relying solely on public provision. …poverty rates have declined in Australia, the Netherlands and Switzerland since mandatory funded pensions were introduced. The initial transformation of Poland’s public PAYG system into a multi-pillar DC approach helped to encourage Warsaw’s development as a financial centre. …the introduction of funded DC pensions in Chile encouraged the growth of financial markets and provided a source of domestic financing. For those seeking additional information on national reforms, I’ve written about the following jurisdictions. At some point, I also need to write about the Singaporean system, which is one of the reasons that nation is so successful. P.S. Needless to say, it would be nice if the United States was added to this list at some point. Though I won’t be holding my breath for any progress while Trump is in the White House. During the 2016 presidential campaign, I was very critical of Donald Trump’s proposal to expand the entitlement state with a new program for paid parental leave, just as I was very critical of a similar proposal from Hillary Clinton. Neither candidate offered much detail, but it was reckless and irresponsible for both of them to propose any sort of new tax-and-transfer scheme when the country already faces a long-run crisis because of entitlement programs. And that looming entitlement crisis explains why I also criticized a paid-leave proposal developed by AEI and the Urban Institute. But not all parental leave proposals involve a net increase in the fiscal burden of government. Senator Marco Rubio and Congresswoman Ann Wagner have put forth a plan that would allow new parents to finance time off with newborns with money from Social Security, so long as they are willing to accept lower retirement benefits in the future. The Wall Street Journal is skeptical of this kind of initiative. Republicans should consider the consequences before signing up for a major expansion of the entitlement state. …Mr. Rubio…claims his benefit doesn’t expand government or create a new entitlement. But what is expanding government if not taking a benefit financed by private industry and administering it through a government program? Paid leave by definition entitles Americans to a de novo benefit… Mr. Rubio says leave will pay for itself by delaying retirement benefits… Does anyone believe those retirement benefits won’t be restored eventually, at least for the non-affluent? …The biggest illusion is that this proposal is a shrewd political move that will steal an issue from Democrats. In the real world they will see Mr. Rubio and raise. The National Partnership for Women & Families called the Rubio plan “reckless, irresponsible and ill-conceived” for making parents choose between kids and retirement. They want both. Once Social Security is open for family leave, Democrats will want to use it for college tuition, and why not a home downpayment? Ramesh Ponnuru counters the WSJ, arguing in his Bloomberg column that the Rubio/Wagner plan merely creates budget-neutral flexibility. Senator Marco Rubio of Florida and Representative Ann Wagner of Missouri…have introduced legislation to let parents finance leave by either delaying taking Social Security benefits when they retire or getting slightly reduced benefits. …The proposal doesn’t raise federal spending over the long run, but only moves benefits forward in time from a person’s retirement to her working years. …the proposal is better seen as a way of adding flexibility into an existing entitlement than of creating one. …Because Democrats will demand more generous leave policies, the Journal warns that the Rubio-Wagner proposal will backfire politically. But the bill is an attempt to satisfy a demand among voters for help with family leave. It’s not creating that demand. Republicans can choose whether to counter Democratic policies with nothing, or with an idea that gives families a new option at no net long-term cost to taxpayers. The political choice should be easy. Ramesh makes several good points. There is a big difference between what Rubio and Wagner are proposing and the plans that involve new taxes and additional spending. And he even cites the example of a provision in the Social Security system, involving early benefits for disabled widows, that hasn’t resulted in a net increase in the burden of government. So what’s not to like about the plan? Plenty. At least according to John Cogan of the Hoover Institution, who has a column warning that it is very unrealistic to hope that politicians won’t expand an entitlement program. Mr. Rubio’s well-intentioned plan begins by promising a small, carefully targeted benefit and assuring us that it won’t add to the long-run public debt. But history demonstrates that is how costly entitlement programs begin. …New programs initially target benefits to a group of individuals deemed particularly worthy at the time. Eventually the excluded come forth to assert that they are no less worthy of aid and pressure lawmakers to relax eligibility rules. …The broadening of eligibility rules brings yet another group of claimants closer to the boundaries of eligibility, and the pressure to relax qualifying rules begins all over again. The process…repeats itself until the entitlement program reaches a point where its original noble goals are no longer recognizable. …Medicaid and food-stamp programs followed a similar path. These programs were originally limited to providing health and nutrition assistance, respectively, mainly to supplement welfare cash assistance. Both programs now extend aid to large segments of the population who are not on cash welfare and in some cases above the poverty line. Medicaid assists 25% of the nonelderly population. Food stamps pay a major part of the grocery bills for 14% of the nonelderly population. …For more than 200 years, no entitlement program has been immune from the expansionary pressures…and there is no earthly reason to think Mr. Rubio’s plan will prove the exception. Here’s my two cents on the topic (the same points I made when addressing this issue earlier in the year). Another objection is that there is a very significant risk that a small program eventually become will become much larger. 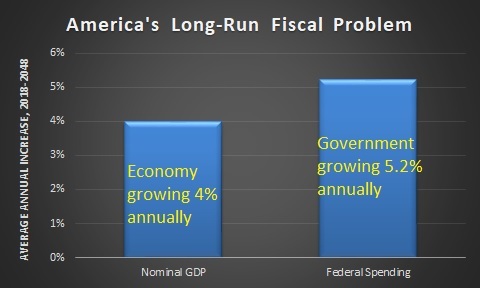 …once the principle is established that Uncle Sam is playing a role, what will stop future politicians from expanding the short-run goodies and eliminating the long-run savings? It’s worth remembering that the original income tax in 1913 had a top rate of 7 percent and it only applied to 1/2 of 1 percent of the population. How long did that last? My goal today is not to savage Sen. Rubio and Rep. Wagner for their proposal. For all intents and purposes, they are proposing to do the wrong thing in the best possible way. If it’s a choice between their plan and some as-yet-undeveloped Trump-Pelosi tax and transfer scheme, the nation obviously will be better off with the Rubio-Wagner approach. But hopefully we won’t be forced to choose between unpalatable and awful. P.S. This debate reminds me of the tax reform debate in 2016. Only instead of doing the wrong thing in the best possible way, Senators Rand Paul and Ted Cruz had tax plans that did the right thing in the most risky way. The United States has a bankrupt Social Security system. According to the most recent Trustees Report, the cash-flow deficit is approaching $44 trillion. And that’s after adjusting for inflation. Even by DC standards of profligacy, that’s a big number. Yet all that spending (and future red ink) doesn’t even provide a lavish retirement. Workers would enjoy a much more comfortable future if they had the freedom to shift payroll taxes to personal retirement accounts. This is why I periodically point out that other nations are surpassing America by creating retirement systems based on private savings. Here are some examples of countries with “funded” systems (as compared to the “pay-as-you-go” regime in the United States). Now it’s time to add Denmark to this list. Here’s how the OECD describes the Danish system. There is…a mandatory occupation pension scheme based on lump-sum contributions (ATP). In addition, compulsory occupational pension schemes negotiated as part of collective agreements or similar cover about 90% of the employed work force. …Pension rights with ATP and with occupational pension schemes are accrued on a what-you-pay-iswhat-you-get basis. The longer the working career, the higher the employment rate, the longer contribution record and the higher the contribution level, the greater the pension benefits. …ATP covers all wage earners and almost all recipients of social security benefits. ATP membership is voluntary for the self-employed. ATP covers almost the entire population and comes close to absolute universality. …The occupational pension schemes are fully funded defined-contribution schemes… Some 90% of the employed work force is covered… The coverage ratio has increased from some 35% in the mid-1980s to the current level… Contribution rates range between 12% and 18%. A Danish academic described the system in a recent report. As labour market pensions mature, they will challenge the people’s pension as the backbone The fully funded pensions provide the state with large income tax revenues from future pension payments which will also relieve the state quite a bit from future increases in pension expenditures. Alongside positive demographic prospects this makes the Danish system economically sustainable. … a main driver was the state’s interest in higher savings… Initially, savings was also the government motive for announcing in 1984 that it would welcome an extension of occupational pensions to the entire labour market. … Initially, contributions were low, but the social partners set a target of 9 per cent, later 12 per cent, which was reached by 2009. …it is formally a private system. Pensions are fully funded, and savings are secured in pensions funds. …It is also worth noting that the capital accumulated is huge. 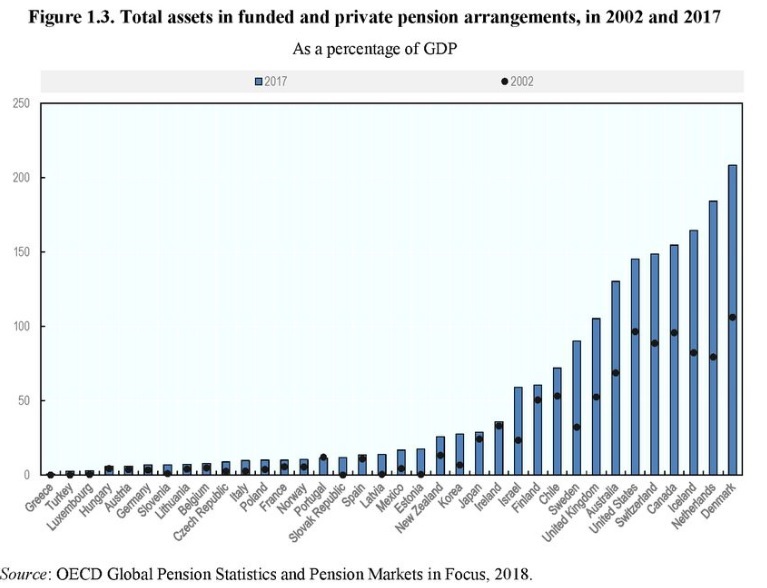 Adding together pensions in private insurance companies, banks, and labour market pension funds (some of which are organized as private pension insurance companies), the total amount by the end of 2015 was 4.083 bill.DKK, that is, 201 per cent of GDP. Denmark’s government also is cutting back on the taxpayer-financed system. … the state has also sought to reduce costs of ageing by raising the pension age. In the 2006 “Welfare Reform”, it was decided to index retirement age with life expectancy… Moreover, the voluntary early retirement scheme was reduced from 5 to 3 years and made so economically unattractive that it is de facto phased out. Pension age is gradually raised from 65 to 67 years in 2019-22, to 68 years in 2030, to 69 in 2035 and to 70 in 2040… These reforms are extremely radical: The earliest possible time of retirement increases from 60 years for those born in 1953 to 70 years for those born in 1970. But the challenge of ageing is basically solved. Those “socialist” Danes obviously are more to the right than many American politicians. The Social Security Administration has noticed that Denmark is responding to demographic change. The Danish government recently implemented two policy changes that will delay the transition from work to retirement for many of its residents. On December 29, 2015, the statutory retirement age increased from age 67 to 68 for younger Danish residents. Three days later, on January 1, 2016, a reform went into effect that prohibits the long-standing practice of including mandatory retirement ages in employment contracts. 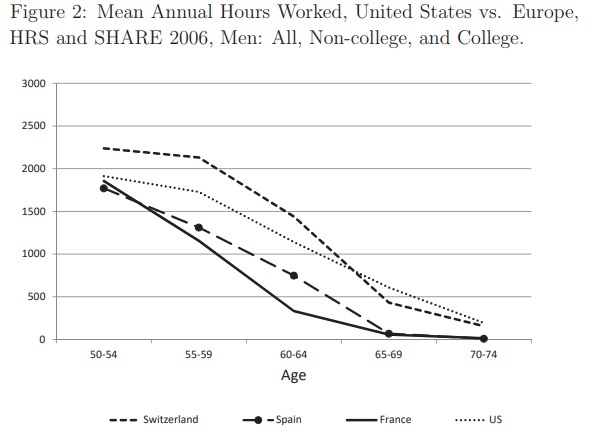 And here’s some additional analysis from the OECD. …pension reforms are expected to compensate the impact of ageing on the labour force… To maintain its sustainability…, major reforms have been legislated, including the indexation of retirement age to life expectancy gains from 2030 onwards. …a person entering the labour market at 20 in 2014 will reach the legal retirement age at 73.5. 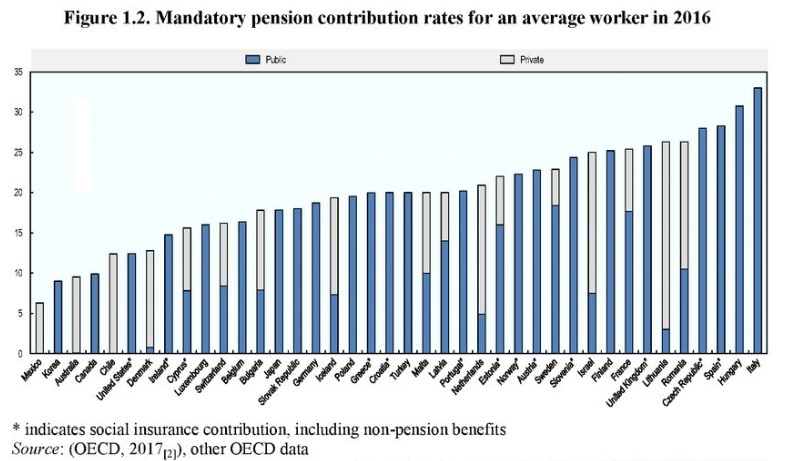 This would make the Danish pension age the highest among OECD countries. …As private pension schemes introduced in the 1990s mature, public spending on pension is projected to decline from around 10% of GDP in 2013 to 7% towards 2060. Wow. 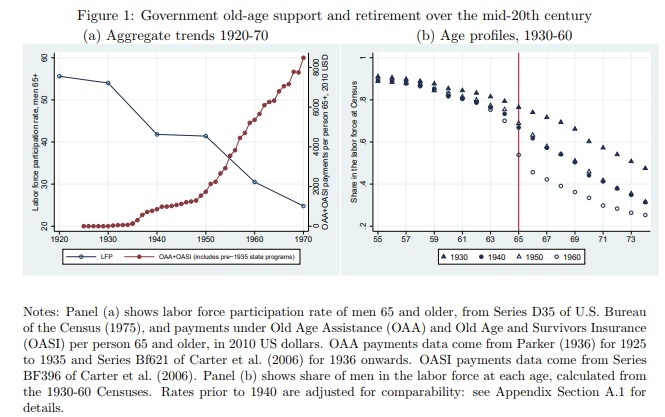 Government spending on pensions will decline even though the population is getting older. Too bad that’s not what’s happening in America. Last but not least, here are some excerpts from some Danish research. Denmark has also developed a funded, private pension system, which is based on mandatory, occupational pension (OP) schemes… The projected development of the occupational schemes will have a substantial effect on the Danish economy’s ability to cope with the demographic changes. …the risks of generational conflicts seem smaller in Denmark than in many other countries. …Overall, the Danish OP schemes are thus widely regarded as highly successful: they have contributed substantially to restoring fiscal sustainability, helped averting chronic imbalances on the current account and reduced poverty among the elderly. 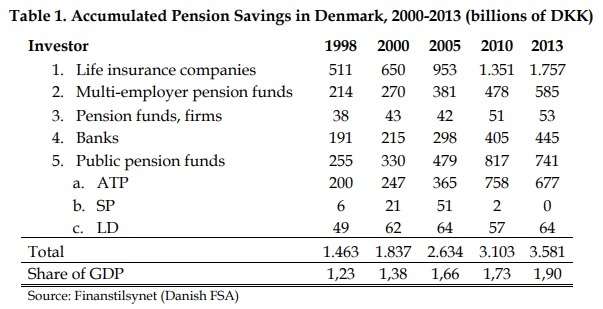 This table is remarkable, showing the very high levels of pension assets in Denmark. To be sure, the Danish system is not a libertarian fantasy. Government still provides a substantial chunk of retirement income, and that will still be true when the private portion of the system is fully mature. And even if the private system provided 99 percent of retirement income, it’s based on compulsion, so “libertarian” is probably not the right description. But it is safe to say that Denmark’s system is far more market-oriented (and sustainable) than America’s tax-and-transfer Social Security system. 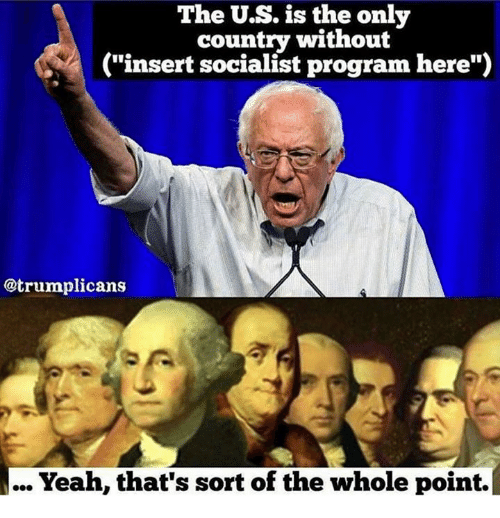 So the next time I hear Bernie Sanders say that the United States should be more like Denmark. I’ll be (selectively) cheering. P.S. The good news isn’t limited to pension reform. Having reached (and probably surpassed) the revenue-maximizing point on the Laffer Curve, Denmark is taking some modest steps to restrain the burden of government spending. Combined with very laissez-faire policies on other policies such as trade and regulation, this helps to explain why Denmark is actually one of the 20-most capitalist nations in the world. August 8 addendum: Here’s a chart from a report by the European Commission showing that private pension income is growing while government-provided retirement benefits are falling (both measured as a share of GDP). 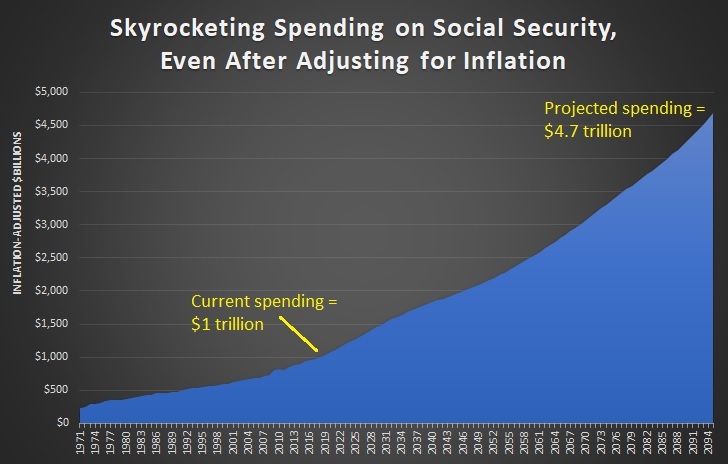 If you did man-on-the-street interviews across America and asked people about Social Security, I suspect most of them would have some degree of understanding about the program’s looming fiscal crisis. Since they’re not policy wonks, they presumably wouldn’t know the magnitude of the problem (not that I blame them since I once underestimated the shortfall by $16 trillion). I also doubt many of them would be able to explain why the so-called Trust Fund is an accounting fiction, which is understandable since even supposedly knowledgeable people pretend IOUs are real assets. But at least they know the program’s finances are a giant mess and that we face a fiscal crisis. That being said, there’s a second crisis in the program that doesn’t get nearly as much attention. Simply stated, the program is a rotten deal for workers. I explained both crises in this video I narrated for the Center for Freedom and Prosperity. Today, thanks to a new report from the Heritage Foundation, we have a great opportunity to peruse up-to-date numbers on the second Social Security crisis. Here’s the problem, succinctly defined. With Social Security consuming such a large component of workers’ paychecks and offsetting their own private savings, it is important that workers receive a valuable benefit from Social Security—one at least as good as they, as a whole, could obtain from saving on their own. This analysis looks across the United States and across generations to see if Social Security does in fact provide that. Sadly, Social Security does a crummy job of giving workers a decent amount of retirement income. Taking an average of all 50 states and the District of Columbia, the average worker receives significantly less from Social Security than he would have if he had conservatively invested his Social Security payroll taxes in the market. …Individuals with lower life expectancies often lose greatly. This occurs because they receive little or nothing in benefits and cannot pass along all their lost contributions to their surviving family members. …Younger workers face lower, and even negative, returns from Social Security compared to older workers. This comes as a result of paying higher average Social Security tax rates over their lifetimes, coupled with a two-year increase in Social Security’s normal retirement age—as well as the benefit cuts that will occur. 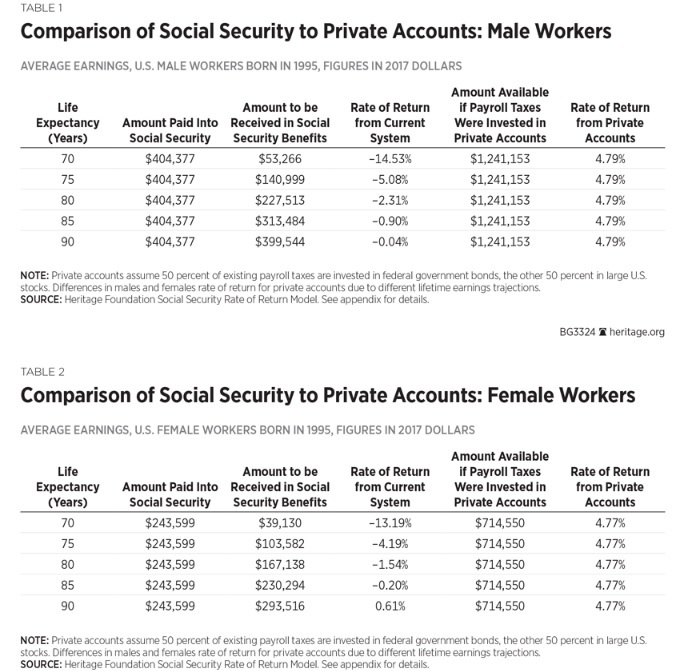 The bottom line is that the implicit rate of return from Social Security is very inadequate compared to the genuine rate of return that could be obtained if workers could invest their payroll taxes in personal retirement accounts. Here’s the key table from the Heritage study, showing rates of return for today’s young workers based on how long they live. You have to wonder why so many young people are intrigued by socialism when they’re the ones getting screwed by big government! Anyhow, there are 12 tables in the report showing lots of additional data, including breakdowns based by state. The entire study is worth a look. 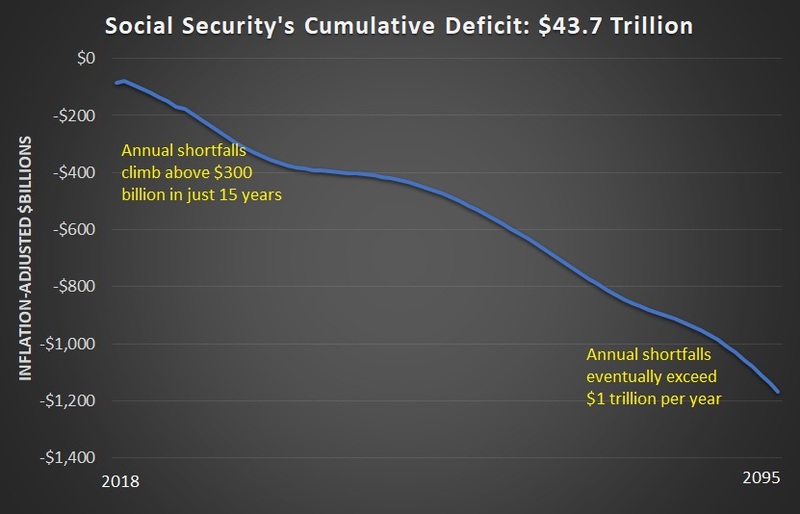 But for those short on time, the conclusion is a very clear summary of why we need to fix Social Security’s rate-of-return crisis as well as the program’s fiscal crisis. The results are overwhelmingly clear. Americans would be better off keeping their payroll tax contributions and saving them in private retirement accounts than having to sacrifice them to the government’s broken Social Security system. Social Security’s design has, over the decades, presumed that many Americans are too incompetent to make informed decisions for themselves, but few Americans believe that the government knows better than they do what is best for them and their families. Moreover, Social Security’s financial structure effectively guarantees that workers will receive extremely low, or even negative, returns on their payroll taxes. P.S. Fixing Social Security is simple, but it won’t be easy. Benefits would have to be preserved for current retirees and older workers, so there would be a “transition cost” as we shift to a “funded” system of personal accounts. P.P.S. But reform is possible. If you want real-world role models of retirement systems based on private saving, take a look at the Australian system, the Chilean system, the Hong Kong system, the Swiss system, the Dutch system, the Swedish system, or even the system in the Faroe Islands. P.P.P.S. Our friends on the left have a solution – albeit misguided – for Social Security’s fiscal crisis. But their approach would greatly worsen the rate-of-return crisis. P.P.P.P. S. You can enjoy some Social Security cartoons here, here, and here. And we also have a Social Security joke if you appreciate grim humor. Writing a column every day can sometimes be a challenge, in part because of logistics (I have to travel a lot, which can make things complicated), but also because I want to make sure I’m sharing interesting and relevant information. My task, however, is very easy on certain days. When Economic Freedom of the World is published in the autumn, I know that will be my topic (as it was in 2017, 2016, 2015, etc). My only challenge is to figure out how to keep the column to a manageable size since there’s always so much fascinating data. Likewise, I know that I have a very easy column about this time of year (2017, 2016, 2015, etc) since that’s when the Social Security Administration releases the annual Trustees Report. It’s an easy column to write, but it’s also depressing since my main goal is to explain that the program already consumes an enormous pile of money and that it will become an every bigger burden in the future. Here are the 1970-2095 budgetary outlays from the latest report, adjusted for inflation. As you can see, the forecast shows a huge increase in spending. The good news, as least relatively speaking, is that we’ll also have inflation-adjusted growth between now and 2095, so the numbers aren’t quite as horrifying as they appear. That being said, Social Security inexorably will consume a larger share of the private economy over time. Now let’s examine a second issue. Most news reports incorrectly focus on the year the Social Security Trust Fund runs out of money. But since that “Trust Fund” is filled with nothing but IOUs, I think that’s an utterly pointless piece of data. So every year I show the cumulative $43.7 trillion cash-flow deficit in the system. Using inflation-adjusted dollars, of course. Assuming we don’t reform the program, think of these numbers as a reflection of a built-in future tax hike. You won’t be surprised to learn, by the way, that politicians such as Barack Obama and Hillary Clinton already have identified their preferred tax hikes to fill this gap. Veronique de Rugy of Mercatus accurately summarizes both the problem and the solution. Veronique punctures the myth that there’s a “Trust Fund” that can be used to magically pay benefits. Prior to 2010, the program collected more in payroll taxes than was needed to pay the benefits due at the time. The leftovers were “invested” into Treasury bonds through the so-called Old Age Trust Fund, which is now being drawn down. …In fact, the Treasury bonds are nothing but IOUs. …Treasury…doesn’t have the money: It has already spent it on wars, roads, education, domestic spying, and much more. So when Social Security shows up with its IOUs, Treasury has to borrow to pay the bonds back. …Did you catch that? Past generations of workers paid extra payroll taxes to bulk up the Social Security system. But the government spent that additional revenue on non-retirement activities, so now your children and grandchildren will also have to pay more in taxes to reimburse the program. Veronique explains we need to reform the system by allowing personal retirement accounts. She was even kind enough to quote me cheerleading for the Australian system. Congress should shift away from Social Security into a “funded” system based on real savings, much as Australia and others have done. The libertarian economist Daniel J. Mitchell notes that, starting in the ’80s and ’90s, that country has required workers to put 9.5 percent of their income into a personal retirement account. As a safety net—but not as a default—Australians with limited savings are guaranteed a basic pension. That program has generated big increases in wealth. Meanwhile, Social Security has generated big deficits and discouraged private saving. Who would you have emulate the other? Though I’m ecumenical. I also have written favorably about the Chilean system, the Hong Kong system, the Swiss system, the Dutch system, the Swedish system. Heck, I even like the system in the Faroe Islands. The bottom line is that there’s been a worldwide revolution in favor of private savings and the United States is falling behind. P.S. If you have some statist friends and family who get confused by numbers, here’s a set of cartoons that shows the need for Social Security reform. P.P.S. As I explain in this video, reform does not mean reducing benefits for current retirees, or even older workers.